February is now just around the corner and this calls for a new post to announce upcoming events and activities in the Ottawa-Gatineau area. The coming month will be nothing short of exciting for the region since a wide array of events are scheduled to take place in and around town. February in the National Capital Region is known first and foremost for Winterlude, a 3-week festival that prides itself in celebrating winter in all its glory. For a third year in a row, the National Capital Commission (NCC) has partnered with the Canadian Museum of Civilization to kick off Winterlude with the official opening ceremony taking place this Friday, February 3. For the occasion, the Museum will exceptionally be open until 11pm and will offer free admission starting at 5pm. Programmed events for the evening include drummers, crowd-amusers, storytelling around cozy firepits, IMAX presentations ($), a sublime fireworks show and an outdoor DJ dance party with Kytami and The PhonoGraFF! For more info visit the NCC website for all-things Winterlude. 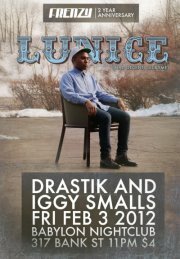 Another event happening on February 3 is FRENZY’s 2nd Birthday, with very special Mad Decent/LuckyMe guest Lunice, “a natural born entertainer who has the drive, sound, and dexterity to make us move. Lunice managed to craft his own recipe which makes dance floors bump and bass bins thump.” In other words, if you want to get down do yourself a favour and head to Babylon this Friday. Also presented during Winterlude by the City of Gatineau is the Bal en Blanc with Misteur Valaire again taking place at the Canadian Museum of Civilization in the Grand Hall on Friday, February 11. This Electrojazz evening, inspired by its Montreal counterpart which encourages attendees to dress in white, will open with Beat Market followed by Misteur Valaire — five young musicians who’ve been making music together for ever, into something that has become a total mix of electro, hip-hop, jazz and rock! “With their unbelievable energy, they transform a straight-up concert into a crazy high-spirited adventure”. 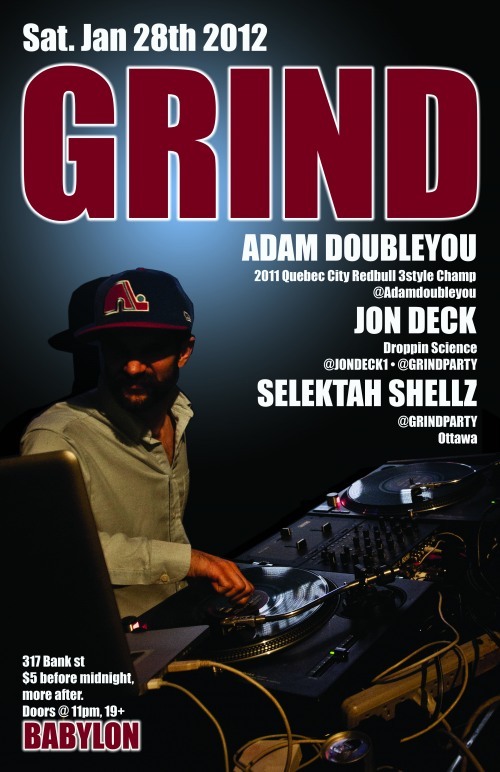 This event, a a first of its kind for the Outaouais, promises to be a memorable dance party and is sure to be well-attended by lovers of electro, jazz and hip-hop music alike. Another show presented by the City of Gatineau happening at the Canadian Museum of Civilization is Coeur de Pirate with Leif Vollebeck as the opening act. The young lady will be performing songs from her latest album Blonde on February 4, 2012. The show has been sold out for a while now and unless you already have tickets you’ll be lucky if you find some on Kijiji. The first edition of the Ottawa Winter Jazz Fest is another Winterlude-related event taking place from February 2 to February 4 at venues throughout the downtown area. Be sure to check it out if you enjoy the summer Jazz Fest and if you like Jazz music and want to attend a show or two. As promised, here are more events happening around Ottawa to end the month, which was no-doubt filled with amazing events! Ottawa is certainly no longer ‘boring’ as it used to be although it continues to hold the title. Nevertheless, things are finally changing around here event-wise. If you’re a fan of hockey, you may be headed to the NHL All-Star Weekend competition at the Scotiabank Place. The two-day event is now sold out, but if you’re desperate for tickets, Kijiji should be able to help you out if you’re willing to pay. 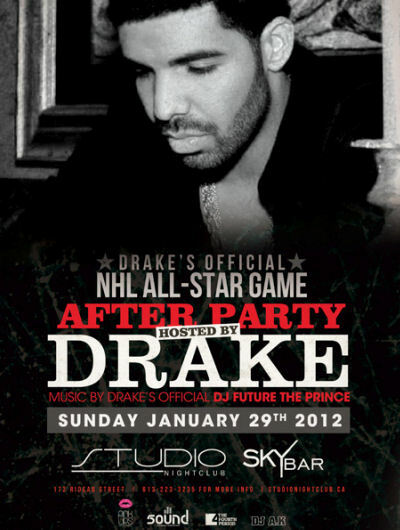 Sunday’s game will be followed by an after party hosted by none-other than Toronto-based artist Drake at Skybar and Studio in the Byward Market with music by Drake’s DJ Future the Prince. Tickets went for $45 a piece. Again, if you want to go and get a chance to see hockey players/celebrities and don’t have tickets yet, good luck getting your hands on some at a reasonable price as the event is also sold out. Personally, I’d rather pay to see an artist perform that to purchase tickets for a night hosted by this artist who may even only be on location for 15 minutes or so. That’s just my two cents. And for those going to the NHL All-Star weekend, you’ll see Drake perform during the second intermission of Sunday’s game. 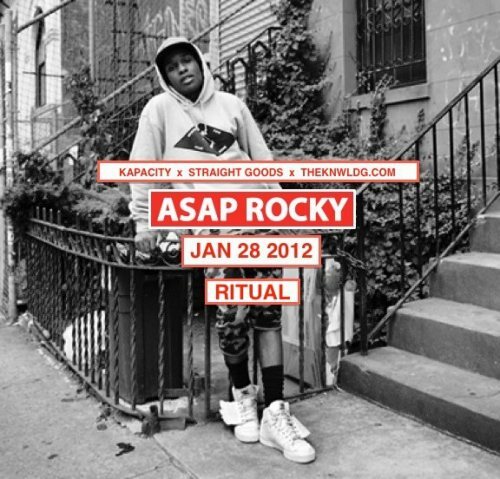 Also on Saturday, a reminder for hip-hop heads that this is going down at Ritual, ASAP Rocky…Trill Life. ANOTHER sold-out event, but some tickets will be available at the door. 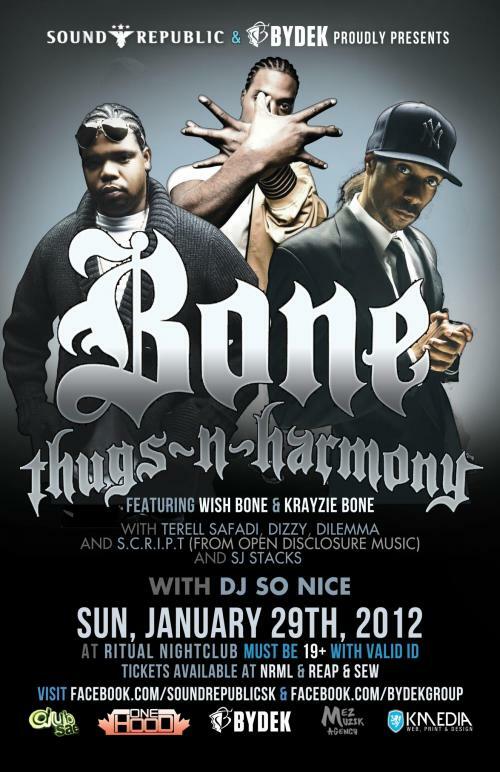 The next day, another show at Ritual for the lovers of rap music who have followed these pioneers since the early days…Bone Thugs-N-Harmony will be in Ottawa to perform with music by Ottawa’s DJ So Nice to warm the crowd. On a side note, for the Ottawa-Gatineau skaters out there, the Rideau Canal Skateway is currently temporarily closed due to the bad weather conditions we had earlier this week, but rest assured the NCC is working hard to get in back in good shape ASAP! You can check out ice conditions by visiting the NCC’s website. 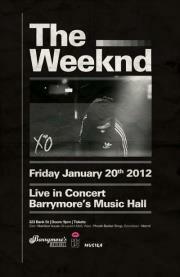 Last Friday, about 700 lucky people got ‘initiated’ to The Weeknd who performed live at Barrymore’s Music Hall in Ottawa. Needless to say, this highly anticipated show was the buzz around town for the past couple of weeks. People from as far as Ohio, USA drove up to the National Capital for a chance to see the up-and-coming R&B crooner live. Unfortunately, some people who lined up hoping to get door tickets were turned away by the organizers who stated ‘logistical’ reasons. Regardless of this unfortunate misunderstanding and of the fact that the show started at midnight, The Weeknd was truly epic. Although it only lasted an hour, it was a glorious hour. His performance was solid and confirmed that the Toronto-based artist is professional and serious about his art. His vocals were excellent, just as pristine as on record, and his stage presence and dance moves, at times reminiscent of Michael Jackson’s, left many wanting more. At some points throughout the show, he seemed somewhat reserved, but it’s onlye natural as a newcomer. Who wouldn’t be overwhelmed in front of this many fans singing along to every song. Since he’s new to the game, The Weeknd will surely gain stage confidence with time and I look forward to seeing him live again to witness this evolution. 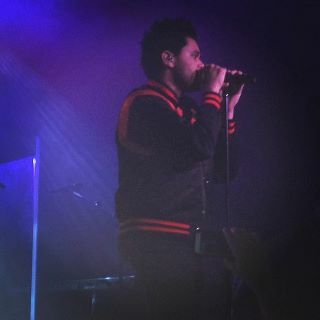 Since he spent roughly an hour on stage, he only performed 9 songs, moste of which are found on his first mixtape House of Balloons (High For This, The Knowing, Wicked Games, House of Balloons/Glass Table Girls, The Morning), but also from his follow-up Thursday (The Zone) and the newly-released Echoes of Silence (Montreal, Outside, Same Old Song). The other event I attended this weekend was the Daft Punk Tribute at Ritual Nightclub. This was so much fun! The Daft Punk Tribute has performed in Ottawa several times before and I’ve been meaning to attend at some point, but only got the chance to see them this past Saturday. 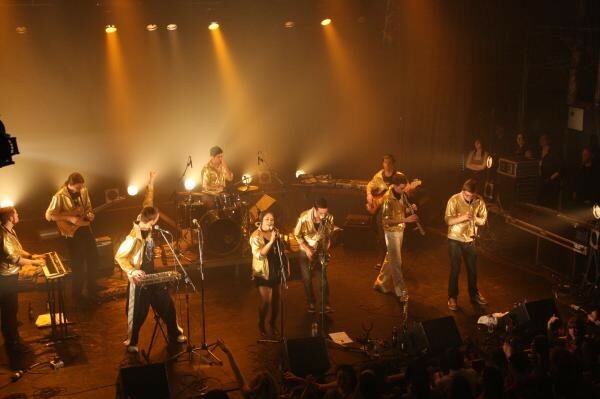 The DPT is actually a 9-piece band who reinterprets some of the world’s most popular electronic dance music with a horn section, rhythm section, vocals and electronics. The group emerged from Toronto’s esteemed Humber College jazz program in 2009 and have been making people dance at Canada’s most prestigious clubs and concert halls ever since. Saturday night was certainly no exception. Ritual was relatively packed and everyone was having a blast dancing and singing along to Daft Punk’s greatest hits from Around the World to Da Funk and Harder, Better, Faster, Stronger. The energy was great and the group clearly sensed the good vibes as they repeatedly said how awesome Ottawa and the crowd were. If you like Daft Punk, jazzy sounds and electronic music, I recommend that you go out for this next time they’re in town! For my first post of 2012, I’d like to start off by wishing you all a happy, prosperous and healthy New Year! I hope you started the year on a high note and that you enjoyed the celebrations and festivities to the fullest 🙂 Resolutions or not, I guarantee that you will enjoy an eventful year in Ottawa as 2012 promises to be quite exciting on that front. To kick things off, January offers a glimpse of what 2012 has in store for the National Capital Region. The new year starts perfectly for Ottawa as the National Capital welcomes THE hottest underground R&B artist of the moment, no other than Abel Tesfaye aka The Weeknd. I can’t even begin to explain how excited I am for this show, it’s pretty ridiculous. I feel like a 15 year-old girl all over again. After an attempt at a first show scheduled for December 10, Pink Lips Entertainment confirmed that the postponed event will now take place January 20 at Barrymores Music Hall. That’s 10 days away 🙂 I’m a happy camper to say the least. For those of you who are still unfamiliar with The Weeknd, please do yourself a favor and go download all 3 free mixtapes at www.the-weeknd.com. The Weeknd’s music is like no other: completely captivating, intoxicating, unique and…I could go on forever, but that’s not the point. 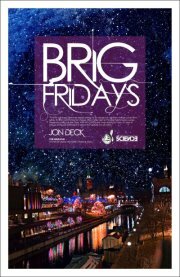 The point is, this show will simply be off the hook and probably the best and most-anticipated one of the year. A clear indicator that this event is a must is the fact that tickets sold out after just 2 weeks! If you intend on attending the show and still don’t have tickets, limited quantities will be available at the doors between 8-9pm, but unless you show up before 6pm, don’t count on it. It’s that serious, best believe the hype! 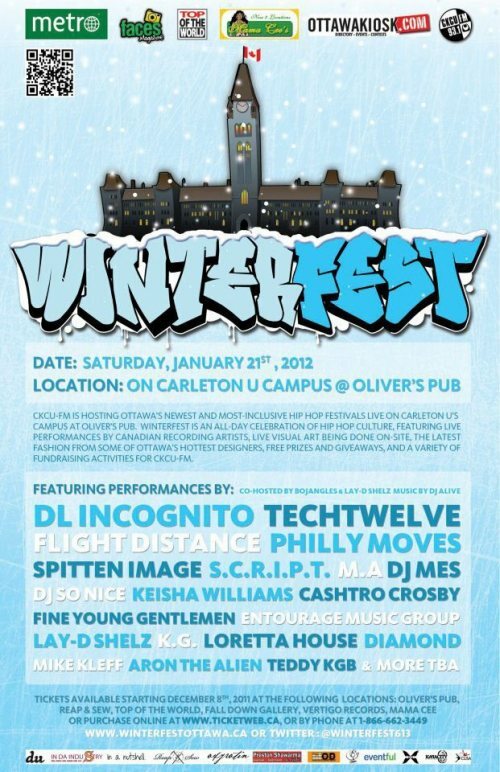 Then on January 21-22, 93.1 CKCU-FM & Metro News present W I N T E R F E S T 2012, an all-day festival of music featuring live performances from various established, and up-and-coming recording artists, live visual art performed on location, a DJ battle featuring some of Ottawa’s hottest on the one’s and two’s, artist and management workshops with established recording artists and industry leaders, various fundraising activities, and more! The concept behind Winter Fest is simple: to provide and foster an environment which will provide artists the opportunity to showcase their skills beyond their regular fan base. 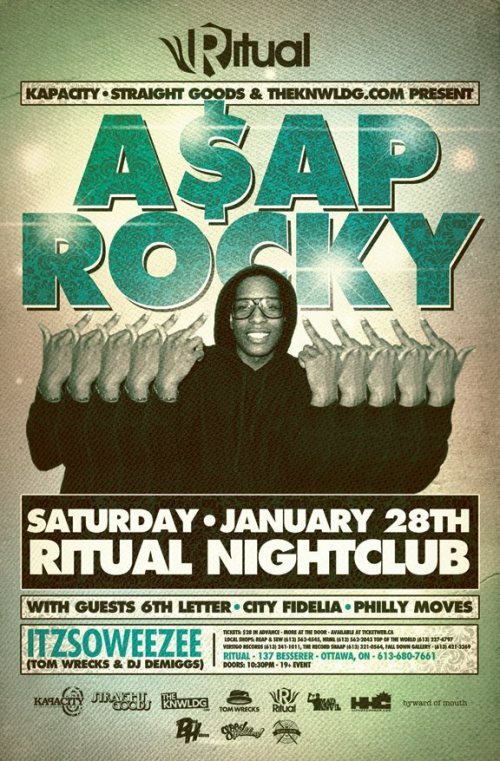 If you discovered ASAP Rocky in 2011 and like what you heard, you’re in luck because the Harlem-born rapper will grace the city with his presence when he takes the stage at Ritual on January 28. You may know the tracks that put him on the radar: Purple Swag and the excellent Peso. 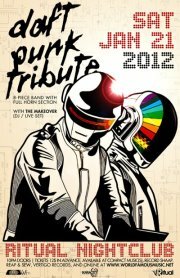 Also in January, if you like Electro music and Daft Punk, there will be a tribute night at Ritual on January 21 with THE MAKEOVER. The Daft Punk Tribute is basically a “9-piece band who reinterprets some of the world’s most popular electronic dance music with a horn section, rhythm section, vocals and electronics. The DPT emerged from Toronto’s esteemed Humber College jazz program in 2009 and have been melting faces at Canada’s most prestigious clubs and concert halls ever since.” In other words, if you want to dance, you know where to go! Oh! 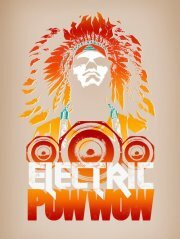 And this Saturday, A Tribe Called Red invites you to the first Electric Pow-Wow of 2012 at Babylon on Bank St. As previously mentioned, this bi-monthly event always gets me dancing from beginning to end 🙂 Other upcoming events will be posted soon! Enjoy January and please share any events that you’ll be attending in the NCR that you think is worth mentioning! 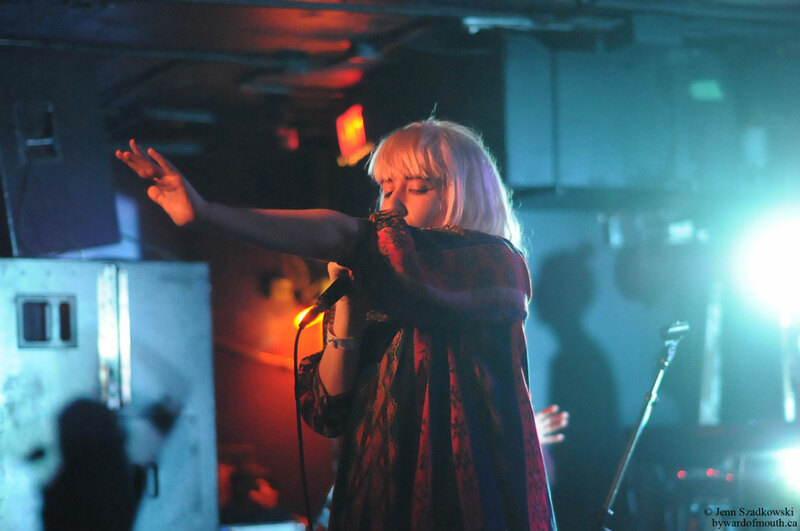 On December 3rd, Canadian new wave band, performing under the stage name Austra graced the dimly lit stage of Ritual Nightclub. 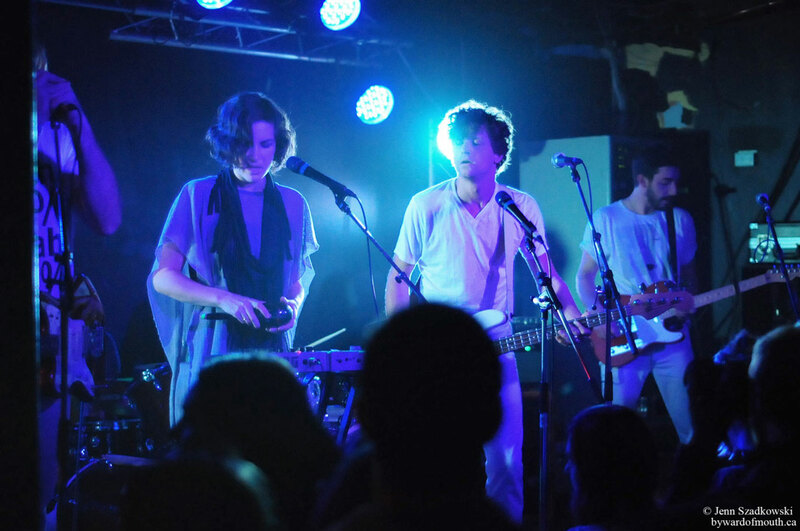 Lead singer, Katie Stelmanis, illuminated the venue of buzzing anticipation and played an electric set. Fans swayed, bounced and sang along wistfully throughout. A melange of elated characters filled the club, brandishing beers in hand & smiles on face. The trio countered the cold, winter-reminiscent evening with a heart-warming and upbeat performance. More Fotos after the jump.